Go ACROSS Second Life this Fall with Making Strides! This fall, get ready for a brand new way to fight breast cancer in Second Life! 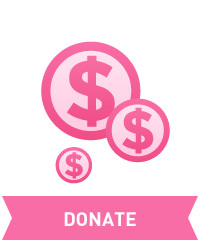 The American Cancer Society’s Making Strides Against Breast Cancer Across Second Life will literally take you…. ALL ACROSS SECOND LIFE! Starting Oct. 1, the American Cancer Society will have not 1, but 2 month-long, grid-wide events with something for everyone: The Strides Parade of Homes in Second Life and Out Shop Cancer. Strides Parade of Homes in Second Life will take you on a tour of some of Second Life’s newest Dream Homes, decorated by top Second Life home decor specialists, with beautiful landscaping features from top Second Life garden and landscaping pros. Whether you are ready for a change or move in Second Life or planning for the new year, Parade of Homes gives you the opportunity to get everything you need for your SL dreams while donating to the fight against breast cancer. And new for 2018, we have revamped our traditional shopping event to take our shoppers across the grid with Out Shop Cancer! This year, participating stores will have designated Making Strides vendors at their main store and shoppers will be provided with a teleport hud to take them around to the shops and a web-based shopping guide. There is even a way for merchants to participate on Marketplace. Of course,everyone is invited to participate in the annual Strides Walk on Oct. 20, and mark your calendars for the season-ending Strides Gala on Oct. 27. 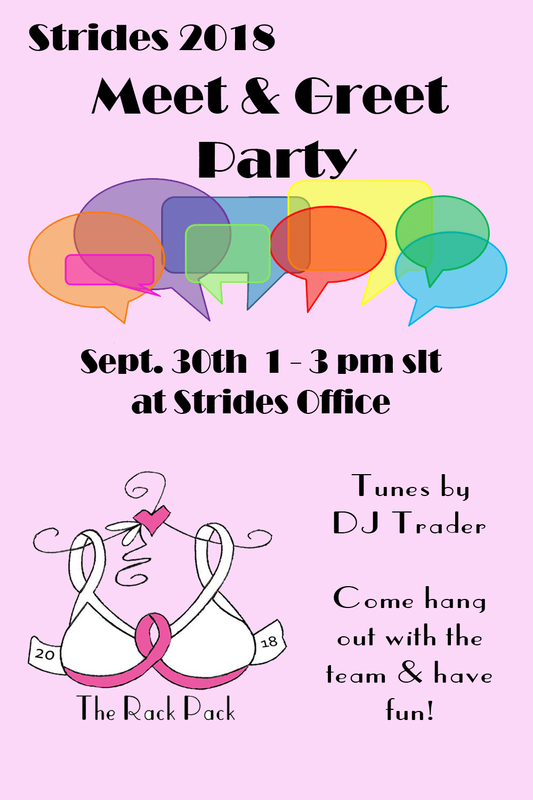 To get involved with any of our Making Strides Against Breast Cancer Across Second Life events, swing by the Strides office on the American Cancer Society region or visit our website at makingstridessecondlife.org. This entry was posted in american cancer society, Committee event, making strides, media release, second life and tagged #acs, #American Cancer Society, #breast cancer awareness, #cancer, #OutShopCancer, #StridesParadeofHomesSL, #TEAMMSABCofSecondLife, 2018 Making Strides Against Breast Cancer in Second Life, ACS, events, making strides against breast cancer across second life, MSABC on August 2, 2018 by sandieloxingly.